My son is in the 10th grade. He has a behavior disorder and he can’t control himself at times. The school does not understand when he gets agitated and angry. They just suspend him and deprive him of his education. Is he under the care of a mental health professional? If not, he needs this right away. By suspending him repeatedly, the school is putting him at high risk for dropping out. Does he have an IEP? If yes, what services is the school supposed to provide? Are they providing these services? If he doesn’t have an IEP, you should get an evaluation by an independent evaluator. The evaluator will determine what his needs are and what type of educational program he needs. 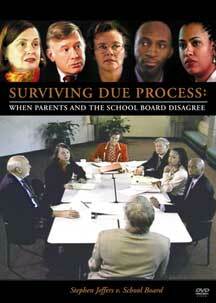 The evaluator can help advocate for him with the school. A mental health person can also help you learn how to advocate for him. At this point, you have educators who have little or no training in mental health and behavioral problems dealing with him, mainly by suspending him (which isn’t a punishment for many kids). Is he under the care of a child psychiatrist? If not, that’s your first step. You also need to get a comprehensive evaluation to find out what is going on with him, why he can’t control himself, and how to help him get himself under control. The child psychiatrist should be able to recommend a good child or neuro-psychologist. Bottom line: You can’t tackle these problems successfully unless or until you have good diagnostic testing and data. 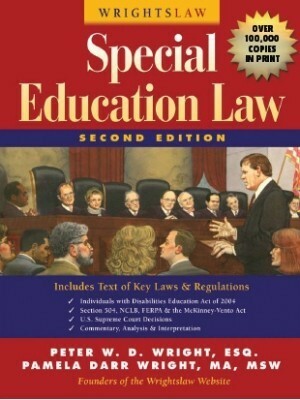 This entry was posted in Advocacy, Behavior / Discipline, Eligibility, FAQs, IEPs, Independent Evaluations, Legal News, Special Education Regulations, Strategies, Tests & Assessments and tagged Behavior Disorder, Comprehensive Evaluation, Discipline, Emotionally Disturbed, IEE, IEP, Suspensions, Test Scores by Wrightslaw. Bookmark the permalink. My son is 10 now he was diagnosed with ADHD, O.D.D., with anxiety and depression. I’m really looking for help I have a long story with thing that I don’t like already about my sons school and the way we have been treated…I’m looking for help with someone that can attend school meetings get to know me and my son and family and get to know our story and help advocate and stand up and help me know our options on things…I have been looking for help. We live in San Antonio and just need to know where to go and what to do. I have a 14 year old son with Severe PTSD, he as well has an IEP under other health impairments. I live in upstate NY an the school is dead stearn their isn’t much they can do as he is in the 9th for other accommodations as he has a specialist saying he needs to slowly be reintroduced to a school setting. He has triggers, flashbacks, night terrors, social anxiety which all are under the PTSD. I suggested extra counseling in school and was told they cant do no more then I believe one session every 6 days, but we could hire someone to go into the school and give him counseling there. I am so confused on all this. Your state parent training and information project, http://www.parentcenterhub.org/find-your-center or state mental health agency should be able to give you some direction. Hi, I have an 11 yr old grandson who has started fires in his room closet twice now. I know things are bad at home and he doesn’t get the attention he should from his parents. Also, he gets bullied at school, but he also bullies. I want to get him help, but I don’t want to involve any police, or family services. There are 4 more grandkids and they don’t need that. Anyone know what I could do? I am the legal guardian of my 9 year old grandson. I am looking to have him put into military school or boarding school. Everytime I call somewhere, they give me a phone number or website to another place that can not help. if anyone knows of any places that will not bankrupt me, then PLEASE let me know. I don’t need more phone numbers, I need help. My grandson will soon be 12 year old. On several occasions he gets mad over small things and throws things and screams. His parents live in my basement but they can’t control him either. He is going to theraphy with a counselor from a mental health reach out program, but with no results. Their Dr. who never talks to him has decided he needs no meds. His dad has been diagnosed as being Bi-Polar. I suggest talking with staff at the mental health program, if you have not already done so. Carrie if he is unable to attend school you do have a couple of options. First you can homeschool him. You can also have him evaluated to see if he is eligible for homebound services. Its sounds to me like he would be eligible and if he receives homebound the school still has to provide FAPE. 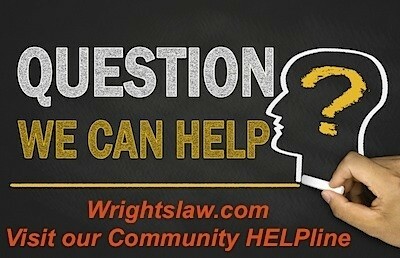 It sounds like you need to request a re evaluation to add EBD as an eligibility category. Then add goals about to address the emotional components of school. I would push for a modified day as the longer he misses school, the harder it is emotionally to come back to school. Request an FBA and BIP. Also looks at how they are teaching the skills needed to master the goals. Begin the conversation that the current plan is not working. Provide documentation as to why. You make a good point how tackling behavior issues in a child can’t really be done successfully until they’ve been properly evaluated and diagnosed by a good therapist. My friend was telling me about how her son has been having some issues acting out lately, mostly in school. I’m sure she would agree that getting her son tested properly by a good psychologist would help her identifying things that can be done to improve her child’s behavior. My mom was a special ed teacher, not at my school . My school tried to enroll me in Special Ed. she refused to allow them to take me out of the regular class room and I eventually was able to behave myself. I think if I would have continued to act up and not do my work. Erin, I know some students (and some adults) talk about early years with behavioral issues and they were able to get “back on track.” In some cases, parents sent them to live with relatives away from the environments that may have triggers and temptations for them. Some were successful and moved on to college, trade schools, etc. They understood and reflected on behaviors with help from new environments, triggers, etc. Yes, these are success stories and many of these same adults and students will say, “they did change” and some of them now serve as mentors, leaders, and also help students with behavioral issues. However, some students have such complex needs that more intense resources are needed to help students who may have complicated issues that need more support. My son is now 21 and still has issues and has threaten himself by ending his life. he’s uncontrollable when it comes to having his way. I can’t deal with this by myself. He’s making it impossible to have a normal life. I’m tired of this. no one wants to be with me because of him my relationship is rocky. He really needs help and i don’t know who to ask for help. Pamela, I’m so sorry to hear this. You are not alone as I’m sure there are many people who are in the same position. Perhaps for yourself, reach out to a group in your area that offers support to parents. For your son, I’m not sure except reach out to a psychiatrist if you are able. They can provide resources that can help you. You’re not alone. What can i do if my 12th grade son with ADHD Asberger auditory processing disorder, anxiety continues to get detentions, suspensions. I am asking for a meeting almost every month to get proper help for him and the principal can only give him detentions leading to suspensions. This has been happening all his middle school and high school life. Thanks for your tip to make sure that your child is seeing a mental health expert if they are having behavioral issues. 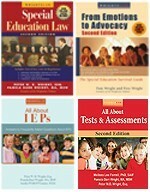 I like how you said that an IEP can also help you to know what resources he/she needs to get better. My husband and I are considering getting our son a behavior problem therapist. My son is a 6yr old kindergarten and this school year has been having issues going to school.He was diagnosed with adjustment disorder but has started getting back on track doing well going to school and is happy and now the school wants to send him to another school for behavior children. I do not agree for him to be sent to this other campus but they are saying we have no choice.Is this right? What can i do ? Im worry that this change of school again will affect my son again. What if the school took way too long to start testing and assessments. The behavior has been reinforced over and over with suspensions? The behavior is even more difficult because the school did not evaluate for over a year on what was going on even though the child had multiple suspensions. Is there any recourse as a parent of suing the school for this? This is just my opinion, but also as a parent you have the right to ask for help for your student. I’m not sure what state but you can ask for testing from the school. Does your state have a tiered system of support. Meaning, have they been trying different interventions? Sometimes they want to try as many interventions as possible to better control of the behavior before testing. Have you considered taking him to a doctor also? If he has a diagnosis, you can take this to school to get support for him also. This site has great information here. My son is going on 17. He is High Spectrum with ADHD features. He was being bullied and attacked and when he fought back he’d be suspended. Now they kicked him out of school and I can’t get him to do the home school program on his Chrome Book through the school. I’m afraid for him. He’s failing 10th grade. He’s addicted to the internet and has been in violent altercations numerous times in the last year. He has threatened me as well. His mother bailed on us in September (we had joint custody). She left without telling him and that made things worse. I am in the State of Florida. What can I do? He refuses to see the psychiatrist anymore and he will not take his medications. Does he have an IEP? If he does how are they providing him services? Was he given the choice to attend an alternative school so that he could still receive FAPE and get his services? If you already have this in place you can also contact your sons school and ask to speak to the Social Worker. They might be able to give you resources to call to help with your son. Maybe also call your local health department to find out what resources they have. I have a little girl that need some help. she is ADHD bipolar schizophrenic just out of control. said thing that she soundnt say. hits her siblings, calls me names. say she wish I would die she hates me that she wish we all would die in our sleep. this is to much. I need help. Hi my name is Rhonda i have a 12 year old son that has been diagnosed with ADHD. hes way out of control. im a single parent and i cant deal with him and the way he is. He does not listen to nothing i say to him. he gets mad and angry when i tell him no or he cant get his way. he throws things and he also hits me. i cant handle his behavior nomore. he takes medicine and he sees a doctor for his illness but none of it works. hes always getting in trouble at school getting suspended or iss. I need help with what can be done before im laying in hospital from a major heart attack or nervous breakdown. im begging somebody to help me for his sake too. i dont want him in prison or dead somewhere. theres got to be something to help him or put him somewhere so he can get fully evaluated so he can get the help. 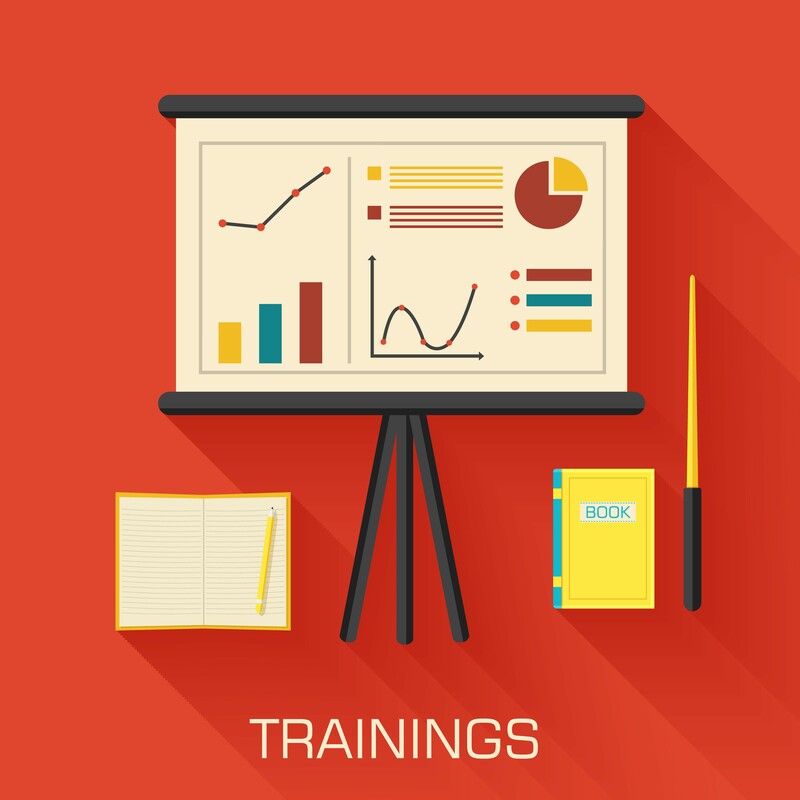 Your state parent training & information center will be familiar with agencies in your state that may be able to help you. I pray that your situation is better. If you son is taking his medication and it still is not working you need to speak with his doctor immediately. The dosage isn’t correct or maybe try a new medicine. Make sure that he’s taking the medication also. At 12 they sometimes say they do and they don’t. 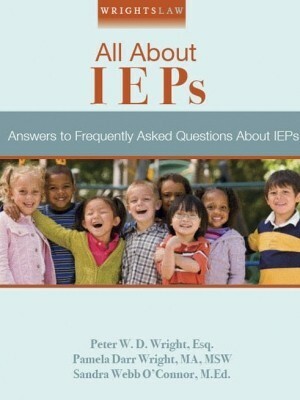 Do you have an IEP? In Florida, if you have a diagnosis of ADHD you can get an IEP for OHI (Other Health Impaired). Does he have a behavior intervention plan put into place. This can be valuable as someone will work with him and help to not escalate his situations to the point where he would be suspended. If he hasn’t been tested for a learning disability, ask your school to do testing for your son. Hi Mary I am still learning the laws and everything but I felt I should take a shot at this. You son needs to have a functional behavioral assessment (FBA) performed on him. Once that is done than you can start to look at a Behavioral Support Plan (BIP). This plan needs to include how to redirect your son and what to do before he gets to that destructive point. I would also consider asking the school to put him on an IEP that will also help his unique learning needs. Hi Mary, I like Marcus agree. If you have the diagnosis of these from a licensed doctor, it is possible to get an IEP from the school for OHI. I would also work with the team, teachers etc to work on an FBA and as a team decide if a behavior intervention plan is warranted. If he’s taking medications and is still having these huge behaviors, he’s not on the right ones. You need to advocate for him with the dr. If they were right, he wouldn’t still have the issues. I have a 7 year old son. He was diagnosed with ADHD when he was 5 he has tried a few diff medications. But he has really bad anger issues. If you tell him no or he has his mind set that he wants something he will throw a tantrum and yell scream throw and try to destroy things. I’ve tried many different ways to figure out what sets him off etc. he gets sent home from school, he recently got suspended for a day due to pushing desks and throwing stuff on ground and kicking walls. I made an appointment with a new doctor and I’m hoping to get help. But I can’t keep leaving work to get him from school with this behavior and I can’t afford for him to get kicked out if that were to happen! the school should have done a Functional Behavioral Assessment (FBA). The assessment should give some answers as to what is going on with your son. Once that is done a Behavioral Intervention plan (BIP) should be put into place. This plan will list the triggered that cause your son to meltdown and what can be done to help him. I suggest calling your school or better yet writing a letter describing your concerns and requesting a FBA. I would continue to work with a doctor to find the right medication and dosage that is able to help your son. 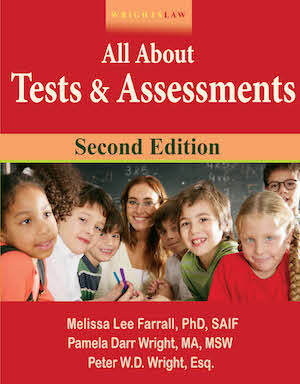 I would speak with the counselor and see if academic testing can be done at your school. Also like Marcus said, ask for an fBA. Is your son on a tiered intervention system? HE should be if he does not have an IEP. Are there preventions in place in the classroom? CHAMPS is a good one for elementary. My family new to Georgia and they have already RED Flagged his emotional and behavioral disorder. Teachers call it negative behavior and it’s a distraction to her how he has had 26 incidents. He has ran out of medications and has been denied for Georgia service’s. We have informed Gwinnett county school that he needs medications in order to attend school. Yet today 10/5 I was told that he must come to school cause of the laws in ga. Yet they will continue to REDFlagged his school records which will follow him and create a hard life! Can you get your doctor to state that he cannot attend school until his medication is stable. Perhaps your child would qualify for hospital/home bound services. 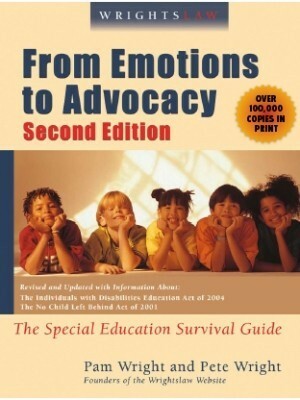 You do not need to be in special education to receive these services. Alternatively, have you requested your child be evaluated for Special Education services due to his emotional/ behavioral disorder? If he did not qualify, indicate you do not agree and request an IEE. I have a boy who has anger issues and talked about killing himself.we had to send him to a behavior also school. He been there 11 days and after talking with him several times he seems to be doing good and wants to come home. I think he had been their long enough. Do they have the right to keep him if I insist on picking him up and going home? Ask the school about support group for parents or resources for parents to engage in self care. This may answer some of your questions. Another piece to this pertains to the “right fit.” Is this place the “right fit” for your child? Work with the school staff to give it a chance so your son may learn some techniques to manage anger, feelings, triggers, etc. 11 days is not enough time to determine outcomes and set up new goals. If he wants to come home to to just “come home”, he should stay. 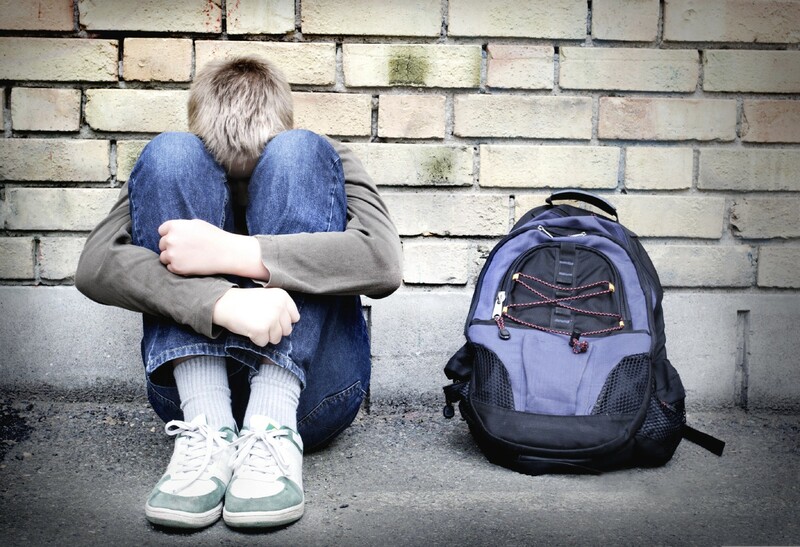 If the school is NOT helping him and he is just grouped with a bunch of kids just to have a placement–then it may not be a good “fit” or even safe for him. Think about the bigger picture and long range goals and talk to people. Such schools are therapeutic but not to punish or teach a lesson. Hi i have a 4yr old boy who has epilepcy he has been on medication since he turn 3yrs old his behavior is really bad he has anger probloms he gets aggressive in points n he has a temper problom he also jumps around non stop and dont seem to lisen or doesent want to stop wen i tell him to..i been to a mental place for evaluation and they say his ok i when to a place called regional center and they say he has no autisum so i dont know what to do his like thus everyday ge just starded school pre-k 4days ago but he dont do that there til now….what do i do? You may request the doctor does a medication review. I worked with a child whose severe behaviors were due to negative side effects of epilepsy medications.They changed the medication and he was much better. That is where I would start. My son is 13 and he gets to highly angry very quickly. He brakes things, lies about me and doesn’t listen, what have been said.I make him healthy food, he doesn’t eat all it. Get angry when he plays games, if he doesn’t win. If you have not done so, you can contact your state mental health agency. Your state mental health agency is a key place to contact. I have a 10 yr old boy that does not lesson ,talks back ,and it`s never his fault even when he gets caught on video ! He has ADHD and AUTISM ! I only have INS because I had to quit my job because no one would take care of him now I live day by day ! can any one tell me ware I can get HELP ? from my understanding if your child is so severe that you cant work because you have to care for him, you can get social security for support. check into it. My daughter is 16 and has a diagnosis of Bipolar disorder and severe ADHD. This is her first year since fist grade that she is in a public school setting. She has had multiple incidences (5) for “cell phone violation to misconduct” at the public school and has been suspended several times. We have now been called to have an Emergency IEP meeting before the end of the school year to talk about placement for next school year. We do not want her to go back to an alternative setting. She needs to learn and adapt to “real life” situations. I think administration forgets that this is her first year and she has a disability, so there will bumps. At alternative schools you do not get the education or exposure she needs to succeed. Who can give me guidance on how to handle this upcoming meeting? I tried that website with no response under any parameters I entered.. I tried different counties, different payment methods and different age ranges. Hey Wes. I’m not sure exactly what you’re looking for. If you click the link Chuck provided, you can click on your state to find the contact information for your state Parent Information and Training Center. It would probably be worth the call to ask for information and resources in your state/local area. They can provide information about the special education regulations and rules in your state, and may be able to provide contact information for other agencies you can call about services. 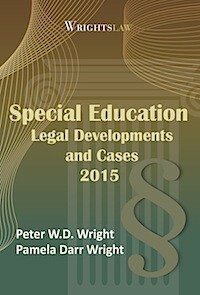 Other resource information directories (by state) are here: Wrightslaw Yellow Pages for Kids with Disabilities. Or, in your browser, google search for mental health / behavioral health agencies in your area. I hope this helps. When she does not get her way she starts being violent towards everybody. I had taken her and put her in the hospital. (Behaviorial hospital). They kept her there for 10 days. I told they she thinks it is a game. Took her to a hospital to get reevaluated. The discharged her and sent her home. I do have a cos case opened because I left a mark on her. But the cos case manager does really nothing to help me. Just tells me to take her back to the hospital to get reevaluated. I am on my last leg to get help for her. I am going threw the same thing in fact we just put my step daughter in a long term facility. she has been there for 3 months. it seems to be working a little. maybe try there the place she is in is in Mandeville la. This is Iowa correct the one you are speaking about I have a step son 17 been in behavioral facility 4 times. Violent towards everyone mostly little kids. He is a bully and taunts them. Does nothing wrong nothings his fault. He has odd and severe mood disorder which Dr said when he is 18 she will change to bipolar. Severe depression. Need somewhere that will help NOW! we are trying Lincoln’s challenge but looking at options. I’m not sure what his “issues”,behavoirs,symptoms are,but there are different options inwhich I think could benefit him.There’s often places/mental healthcare that offer services for free and sliding scale(goes by what’s affordable by ur income).they can do a mental health assessment to help determine what can be done to help,treatments,additional information,resources and options for him.The first step is always recognizing the problem.Also I know that most cities have an “indigent” care program that provides some healthcare to people who can’t afford insurance/dont have any. Don’t feel guilty or that you have failed him.You said you tried to get him help.He will love you regardless.The important thing is you are trying now!Society has had many advancements in the past thirty years also. We recently moved to Brooklyn New York. I have three children and each have their own diagnoses. My 15 year old son is currently attending a school designed for Autistic children. My son is non-verbal with multiple delays. He has recently been coming home from school with multiple marks,asprain ankle and impressions of the heel of a shoe on his back and on his legs. I have reported this to local authorities along with the school but because he is non-verbal I am not getting anywhere. The school claims nothing happened along with the Bus driver. I am having my son transferred to another school but he has to continue at the current one till the transfer is complete. I want justice for my son. Please help. I can not afford a attorney. Write an email to the deputy chancellor outlining what is gong on include dates, times, people’s names. Put your schools code or name, your child’s name in subject line. Then include his osis # in the email somewhere or in subject line is fine too. You can and should also file a police report when he has injuries like that consistently – and the school and bus driver are giving you the run around. Really! That’s the answer? 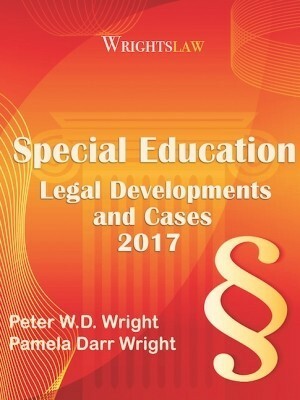 Do you have children either on the spectrum or with special needs? Behavioral issues are typically a direct response of neurological disorders! That would be great but unfortunately that is not a cheap alternative. For a single parent on one income even a private school is out of the question. Nobody mentioned private school!!! What are you talking about??? I saw mention of BOOT CAMP. There is one for free call the youth challenge program. They are usually held at a military base. Look one up in your area. This is where I have to send my son because he steals phones from people when we take his away for getting suspended multiple times. I agree with you. Parents need to be more forceful with their kids. Look up Lincoln’s challenge see if it might be what u are looking for. My advice may not be the best as I am studying to be a teacher but I thought I would take a chance with this. What I would do is as far as school I would talk to his teachers and see what the problem is there. Then once you speak to the teacher maybe go to his guidance counselor or the principal and see if they would evaluate him to see if there is a mental imbalance in his brain that is causing him to act out. I would also see if you could get a behavior intervention plan into place at the school to maybe curb some of his behavior. As far as home have you tried punishments, rewarding good behavior, praise when seen doing something good? Your state should have a mental health agency that could begin the process of determining what might be the reason(s) for your child’s behavior. Try to find this agency for your state. We live in Michigan. Mental Health Agencies, in Michigan known as Community Mental Health(CMH), only serve people on Medicaid. Not sure if this is the case in other states, but at least in Michigan, the state provides no mental health services to working folks with private insurance. This is an example of why it is important for parents, & the public to learn how their state handles health care. My 6 year old was suspended 3 times in 1st grade. His behavior was out of control. He hated school, started hating me because I was the one who dropped him at school. I would get a call everyday from the principal to pick him up. I begged for an assessment and to get an IEP for him. I fought everyday for him. They ruined him. I finally got an evaluation after being denied, trying to talk to the superintendent, I threatened to go to the school board. 1 1/2 years later, he was granted an assesment from the school and was diagnosed with High Functioning Autism and Oppositional Defiant Disorder. You have to fight. He lost his light by teachers telling him he was bad, when in reality it was frustration. Please fight! I have been there. I watched the public school system drain the bright bubbly son of mine become depressed and withdrawn. He was killed in an auto accident at 14 driven by a friend while skipping school. I have been driven to share any and all info I have learned. It has become a passion. I hope your child is doing well! The best thing a parent can doing is take charge and educate themselves as much as possible about rights and school responsibilities. It’s tough! 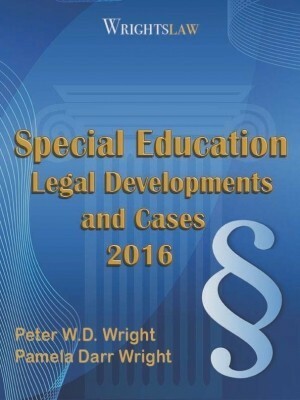 I’ve know lawyers who had special needs children go thru the same hassles getting proper services for their kids! So share ,share share with anyone one and everyone if they are asking questions or if you know they need advice! Thanks for sharing , my son is in that same place right now.. when he was in the fourth grade a teacher was always sending him to the office for him not sitting a his chair , saying things when not asked to speak . and then tells me he has adhd go take him to the doctors, but buy then she had labeled him as the bad kid in school ..sorry I have difficulty beliving in teachers are to help our kids espeally out here in lausd school distict . 4 years have passed and he is behind those 4 years with a IEP .. I need to find some help .. I have an 11 year old boy who is in the 5th grade. he was bullied by 7 or 8 graders. I don’t know to what level it was done, all I know that all of the sudden he started not wanting to go back to school, every time I took him he would cry. there was a couple of times where he waited till I left and started walking back to my car. I would turn around and he would be right behind me. he is repeating the 5th grade now and the school where he is going now is saying that he will go back to 5th grade again, because he has been absent too many times. I think I need him in a boarding school but, they are expensive and I can’t afford one, I live in Chicago, please any help or any advice. I have a 3 year old and i say he’s out of control. He doesnt mind, wont listen. When I ask him to do something he doesnt. When I ask him to stop hitting and being ugly to his 11 month old sister he looks at me and laughs. He beats his sister.When I spank, it does no good. When I take his toys and TV from him it doesn’t work. He screams at me he hits me cause I spank him. He screams at his sister he pushes her, he throws things at her. I just don’t know what to do anymore. can someone please help me? I have a child that has been aggressive and having strange behaviors and oppositional. He started at age three and now ten years later his behavior has improved but it is still not preventing him from getting suspended for defiance. I have to get him an IEP three times and he was found to not be cognitively impaired enough yet they know he continues to not behave the same as the other students and it feels like the just want to suspend him for anything they can to get him out of the school. His behaviors now are not really aggressive. He says no to adults. He doesn’t’ use drugs or bully kids or bring weapons to school. I am so at a loss for what to do as I have tried to get him help and had him in counseling but no one has given him a proper diagnosis it seems. Hi Savannah my name is Stephanie i am also going thru the same thing with my 3 yr old he’s constantly beating on his 6 yr old brother and i also tried the punishment techniques that you have and constantly having to pick him up from Headstart.. Im wondering if you have any information that was given to you that might work for us? Are you consistently enforcing your rules? Also positively reinforcement of good behaviors does work. I recommend 123 magic. Contact your school district special needs preschool department and request an evaluation. I feel you, my 10year son is horrible to everyone in our family and he brings out the worst in me as his mom. I loved to see me lose it.